“Though the international fame of In the Realm of the Senses—now widely regarded as one of the most important films of the Japanese New Wave—has engendered a flurry of reviews, articles, and interviews in the decades since its scandalous premier, there is a dearth of both media and scholarly attention towards Matsuda, any interest in charting her life or hearing her experience. Matsuda’s death from a brain tumor in 2011 went unnoticed by the press; by contrast, a flood of obituaries from around the world greeted the news of Oshima’s passing just two years later, many of which prominently featured iconic stills of Matsuda as Abe. In the minds of arthouse theatergoers, her unforgettable performance in In the Realm of the Senses had become an instantly recognizable metonym for the height of Oshima’s directing powers but left no room for a consideration of the performer herself.” The erasure of Matsuda Eiko is one Erica X. Eisen aims to rectify, recounting the prejudices that led In the Realm of the Senses’s lead to suffer condemnation and even praise within a narrow, sexualized band that never constricted her director or co-star, and had her leaving the film business in less than a decade. “Not only the hero but also the film itself is built as a conglomerate: a collage of impulses, templates, and allusions, coming from different artistic practices and fields. The credits of Woton’s Wake appear over a series of illustrations imitating the pages of a medieval book. Abundant in comic strip and cartoon-like effects, the film has traces of both avant-garde theater and puppet shows. It combines a vignette narrative with two folk songs that orally convey the hero’s story. Across the film, De Palma uses many types of experimental music (musique concrète, ritualistic chants, a tape played backwards, atonal composition). The underground spirit of Bruce Conner’s early assemblages and the junk-décors of Jack Smith are mixed with the legacy of German Expressionist cinema.” De Palma’s early short Woton’s Wake, in Cristina Álvarez López’s reading, is a heady collage of cinema history, arts high and low, and the director’s career-long affinity for society’s monsters, its protagonist the “first demiurge-artist” in De Palma’s career, one whose outré self-fulfillment, like De Palma’s itself, gleefully resists easy consumption by an audience. The films of 1968 are the subject of several retrospectives in New York. The curator of one such series, J. Hoberman, makes his case for Romero’s Night of the Living Dead as the year’s defining film, far enough from the mainstream to feel the pull of the era’s currents at full force. (“A piecemeal production, made with pooled savings, shot in black-and-white on weekends and between jobs, that ultimately took the better part of a year to complete, it demonstrated the power of outré independent films to provide new social metaphors and outgroup fantasies. 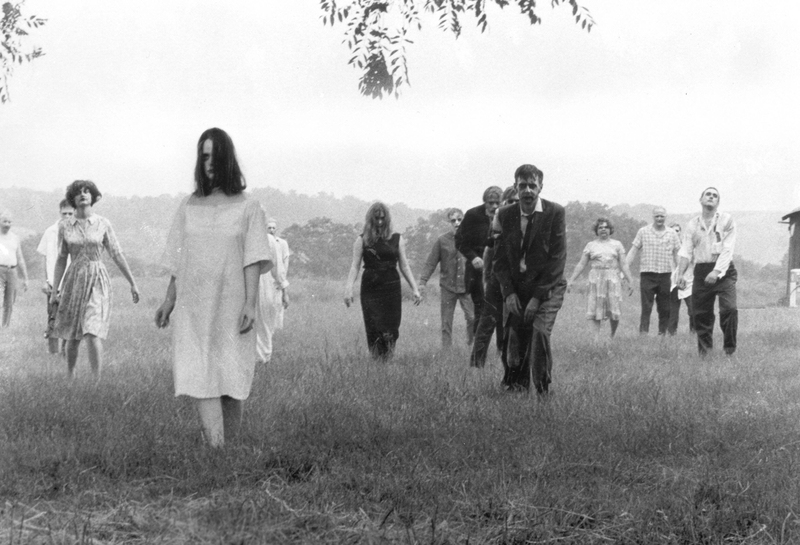 Produced off-Hollywood, Night of the Living Dead was not bound by Hollywood conventions. The movie’s rough-hewn style had the raw immediacy of underground movies and direct documentary; its cheap but vivid effects gave Weekend’s burning cars and hippie cannibalism a vérité spin. The narrative offered no happy ending, no authoritative voice-over, no reassurance whatsoever. On the contrary, the film systematically undermines the authority of the father, the police, and the media.”) While Melissa Anderson finds Godard’s Sympathy for the Devil a mixed bag, its scenes in the recording studio filled with the wit, edge, and, ironically, political urgency the director’s supplemental sketches lack. (“Sympathy for the Devil was not the original name for the 1968 film by Jean-Luc Godard that consists, in part, of footage of the Rolling Stones in the Olympic Sound Studios in London recording the eponymous track; it was insisted upon by one of the movie’s producers. Godard had chosen One Plus One as the title for this wobbly cine-sermon, an ungainly amalgam of Maoist posturing, Black Panther proselytizing, and Carnaby Street chic. One Plus One is a typically Godardian title, puckishly enigmatic. Less characteristically, the name is a misdirection: nothing adds up in this movie. 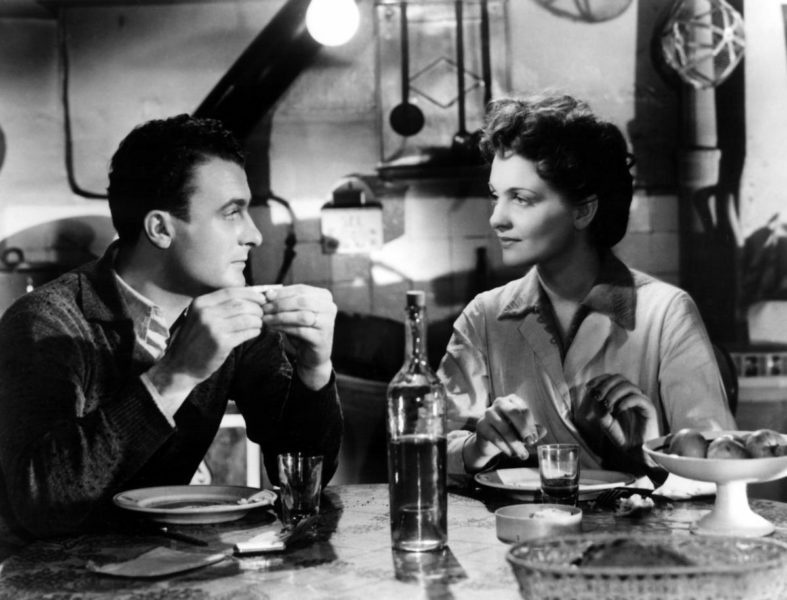 Often as transfixing as it is unendurable, the film is lesser than the sum of some of its parts. It demands a new math, working best when subtracted and divided.”) Via David Hudson. “He didn’t speak any English at all, but the guy who produced it was a nephew of Visconti, and he translated. I went to meet him at Claridge’s, which I thought was strange for such a kind of ‘left-wing everyone should be equal’ kind of guy. He said to me through the translator that [Teorema] is the story of a young man who has a divine nature. He arrives in the home of this bourgeoisie family and seduces the wife, the husband, the maid, the son – and I said, ‘I can do that!’” Terence Stamp’s interview with Brian Raven Ehrenpreis focuses almost exclusively on the 1960’s—meaning a lot of good work gets skipped, but you do get tales of working with Ustinov, Wyler, Loach, Schlesinger, and (above) Pasolini. “When you do a Sam Shepard play, you feel the rhythm. Sam’s plays are like a percussive instrument. Richard Linklater’s Before trilogy, the patter of that dialogue—there’s a musicality to it when it works right. The movie is all talking, but there’s rests and there’s stops and rhythms. I’ve never seen much of a difference [between acting and music] …. Recently I’ve been thinking a lot about Dennis Hopper, what a kind of hero he was. He has this great quote about being raised a farm kid, and he never saw any difference between dance and music and photography and painting. It’s all art. It’s all trying to make sense of why we’re born and why we have to die.” Interviewed by Zach Schonfeld, Ethan Hawke talks about some of his passions, including the play of time, the reasons he directed a biopic about singer Blaze Foley, and how Nic Cage’s acting is just out there on another level, man. 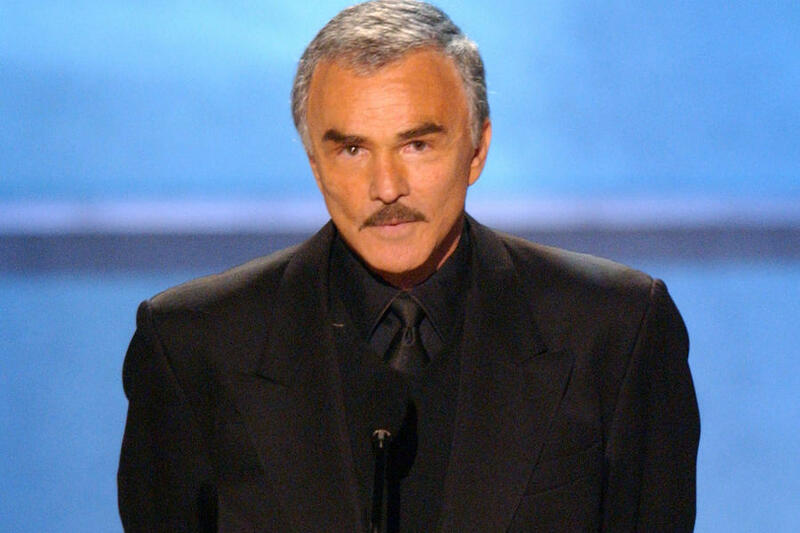 Burt Reynolds was one of the biggest movies stars in the world at the height of his popularity in the 1970s and early 1980s. He started acting on TV in 1958, moving up from bit parts and guest roles (including an episode of The Twilight Zone) to playing Quint on three seasons of Gunsmoke and starring in his own short-lived series Hawk (1966) and like fellow TV actor Clint Eastwood became a big screen leading man in spaghetti westerns, with Sergio Corbucci’s Navajo Joe (1966). After another one-series series, Dan August (1970-1971), he showed a darker side in Deliverance (1972) and starred in Robert Aldrich’s The Longest Yard (1974) and Hustle (1975), but the films that really defined his good ‘ol boy appeal were White Lightning (1973), Gator (1976), his blockbuster hit Smokey and the Bandit (1977), and the party on wheels The Cannonball Run (1981). He starred in Alan Pakula’s romantic comedy Starting Over (1979), directed and starred in Sharky’s Machine (1978) and Stick (1985), starred opposite Dolly Parton in the musical The Best Little Whorehouse in Texas (1982) and Eastwood in the comic crime film in City Heat (1984). Reynolds had a knack for choosing a paycheck in films with his buddies, which resulted in a number of lackluster crime thrillers, but he was solid in Switching Channels (1988) with Kathleen Turner, terrific in Bill Forsythe’s low-key Breaking In (1989), and earned his only Oscar nomination for Boogie Nights (1997). He starred in the sitcom Evening Shade for four seasons and made memorable guest appearances in The X-Files, My Name is Earl, and the animated Archer. He passed away at the age of 82. More from Mike Barnes for The Hollywood Reporter. Arguably the most successful Broadway playwright of the last decade of the 20th century, with 30 hit stage comedies and musicals to his name, Neil Simon also wrote dozens of screenplays (both originals and adaptations of his plays) through his career. He began as a gag writer for TV during the 1950s and was part of Sid Caesar’s dream team of writers for Your Show of Shows along with Mel Brooks, Carl Reiner, Larry Gelbart, and others before making his Broadway breakthrough. He scripted the film versions of his plays After the Fox (1966), Barefoot in the Park (1967), and The Odd Couple (1968), the first of many adaptations, and wrote the original screenplays for The Heartbreak Kid (1972), Murder By Death (1976), The Goodbye Girl (1977), The Cheap Detective (1978), California Suite (1978), Seems Like Old Times (1980), The Slugger’s Wife (1985), and The Marrying Man (1991), among others, during his most prolific period. He passed away at the age of 91. Charles Isherwood goes deeper into his career, notably his playwriting, for The New York Times. Gloria Jean was a child actress who made her screen debut at the age of 13 as the lead in the comedy The Under-Pup (1939) and played support to W.C. Fields in Never Give a Sucker an Even Break (1941). As she aged out of child roles, she appeared in Ghost Catchers (1944) with comedians Ole Olsen and Chic Johnson and Destiny (1944), a film created out of a cut sequence from the anthology film Flesh and Fantasy (1944), but her career never really caught fire. She worked in B movies and on TV and retired from acting in the early 1960s. She was 92. Donald E. Slotnik for The New York Times. Liz Fraser was a British actress who specialized in “dumb blonde” roles and graced many of the of “Carry On” comedies. She made her screen debut in 1955 in Touch and Go (1955) and co-starred with Peter Sellers in The Smallest Show on Earth (1957), I’m All Right, Jack (1959), and Two Way Stretch (1960). She appeared in the movies The Americanization of Emily and The Family Way (19) and on the TV shows The Avengers, Dad’s Army, The Benny Hill Show, Rumpole of the Bailey, Demob, Foyle’s War, and Midsomer Murders, in addition to four of the “Carry On” comedies. She was 88. More from BBC. British actress Jacqueline Pearce is best known to American audiences for her roles in the Hammer films The Plague of the Zombies (1966) and The Reptile (1966) and in UK for the sci-fi TV series Blake’s 7 (1978-1981) but her career spanned 40 years on film and TV roles, including appearances in the films White Mischief (1987) and How to Get Ahead in Advertising (1989) and show The Avengers, Man in a Suitcase, and Doctor Who. She was 74. Toby Hadoke for The Guardian.